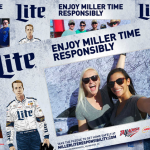 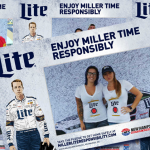 Responsible NASCAR fans earned valuable rewards at the 5-Hour Energy 301 at New Hampshire Motor Speedway (NHMS) on Sunday July 19, 2015. 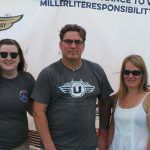 The track, Miller Lite and Techniques for Effective Alcohol Management (TEAM) Coalition partnered to promote responsible drinking and traffic safety. 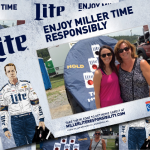 106 fans made the pledge to be a designated driver for their group.